This post is sponsored by Adobe Photoshop Elements. Are opinions are 100% mine! If you’re new to Photoshop Elements, or even if you’ve been using it for awhile, learning how to use shortcuts will make things so much easier and faster! I created an Photoshop Elements Shortcuts Cheat Sheet that has all the toolbar shortcuts, plus some of my other favorite shortcuts. Pin it refer to later, and save it to your computer for easy reference, whenever you need it! These make such a big difference for me–hope they help you too! 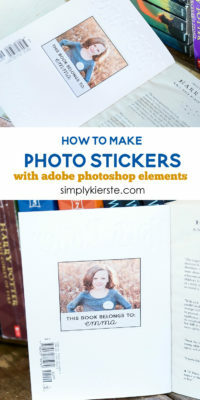 If you’ve been wanting to try an editing software that can not only edit photos, but create projects, printables, and more, Photoshop Elements is a great place to start. It’s more user-friendly than Photoshop, but has a lot of the same features that are super easy to use. I’ve been using it for years, and even though I’ve branched out to use Photoshop, Lightroom, and Illustrator, I come back to Photoshop Elements again and again. I love it! It’s also a great way to keep your photos organized, so it really is an all-in-one software.